#Berlin. #BestofBerlin. #Rostock. #BalticCruises. #ShoreTours. #CruiseExcursions. #CruiseShipExcursions. #CruiseShipShoreExcursions. #ForCruisePassengers. ForCruiseShipPassengers. #BalticVacationTours. #PrivateTourGuide. #Sachsenhausen. #WarnemundeBerlin. #WarnemundeTours. #BerlinTours. Tours from Warnemü. 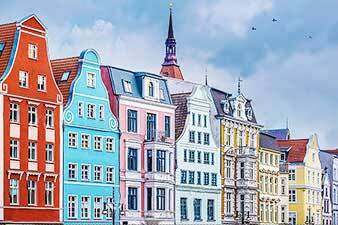 nde/Rostock: Classical Berlin, Sachsenhausen Concentration Camp, Jewish Heritage Tour to Berlin, Hanseatic Rostock & Fairytale Schwerin. Sachsenhausen Concentration Camp excursion. 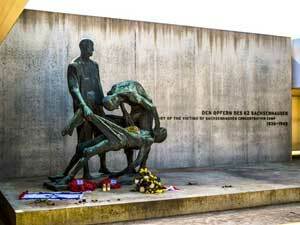 Warnemunde to Berlin tours. See also our baltic cruise ship shore excursions in St Petersburg Russia. Price for open group tours: $145 PP ($105 PP if booked with St. Petersburg itinerary). 10.00-13.00 » Western Berlin: the tour starts at the Charlottenburg Palace and continues with the drive down the beautiful Kurfurstendam. Photo opportunity at the bombed out Kaiser William Memorial Church. The tour then continues through the Central Park of Berlin, the Tiergarten passing the Victory Column. You will come to the German Parliament, the Reichstag. From here you will walk through the Brandenburg Gate into Paris Square and to the Memorial to the Murdered Jews of Europe and then to the site of Hitler's Bunker where the bus will pick you up. Eastern Berlin: Potsdamer Platz, the former site of the SS and Gestapo Headquarters which is now a museum called the Topography of Terror, the Berlin wall in its original position and infamous Checkpoint Charlie. 13.00-14.00 » Lunch break. We recommend Lowenbrau restaurant which offers world-famous beer. Other restaurants and cafes (including more economical ones) are also possible. For those who don't need lunch and prefer to use this time for shopping there is a multitude of small shops. 14.00-15.30 » Gendarmenmarkt Square, Book Burning Square and Museum Island where five world famous museums including Pergamum Museum are located. If the time permits the tour will continue to the East Side Gallery and/or the former Jewish Quarter. Free time for the group at the biggest department store in Europe - KaDeWe. NB! Our guides are very flexible and we can customize the itinerary to meet the requirements of the group. Price for open group tours: $160 PP ($120 PP if booked with St. Petersburg itinerary). 12.00-16.00 » The tour will start with the government quarter where you will see the German Parliament, the Reichstag, the Brandenburg Gate, Pariser Platz, the Tiergarten, the Memorial to the Murdered Jews and Hitler's bunker. Then you will drive through Potsdamer Platz to see the remains of the Berlin Wall, the former Headquarters of the SS and Gestapo, and Checkpoint Charlie. Here you will have a photo stop. After it you will head up Friedrichstrasse to the heart of Berlin to see Gendarmenmarkt, Babel Platz, the book burning square, Unter den Linden, Humboldt University, the Neue Wache, former Tomb of the Unknown Soldier, Museum Island and the former Royal Palace. Time permitting you will see a few sites in the former West Berlin: the KaDeWe shopping center, KurfA?rstendamm, the bombed out Kaiser Wilhelm Memorial Church, the Charlottenburg Palaces. NB! Please bring with you some EUR cash for toilets and lunch. 12.00-12.30 » introduction to the Jewish history. Museum Island, Memorial of Mother holding her dead Son. 14:00-15:00 » Lunch break at request. We recommend Lowenbrau restaurant which offers world-famous beer. Other restaurants and cafes (including more economical ones) are also possible. 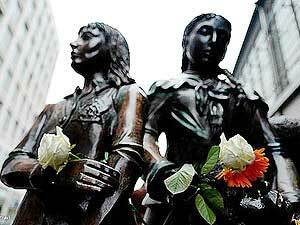 15:00-16:30 » East Berlin: Unter den Linden, Bebel Platz (Book Burning Square), photo stop at Reichstag. Walk through the Brandenburg gate and Paris Square, the Holocaust Memorial, the former SS and Gestapo Headquarter known as the Topography of Terror and a photo stop at the Berlin Wall. 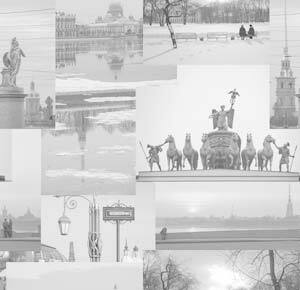 12.00-12.30 » introduction to the history of Berlin. Charlottenburg castle. 14:00-15:00 » Lunch break at request. We recommend famous Hofbrauhaus Restaurant, home of Oktoberfest. The food and beer served there are considered to be a national treasure. Other restaurants (including more economical) are also possible. 15:00-18:00 » East Berlin: walking tour of Jewish Quarter with all the main sights including the New Synagogue, Museum Island, Käthe Kollwitz WW II memorial, Unter den Linden, Bebel Platz (Book Burning Square), Gendarmenmarkt, Checkpoint Charlie, the Topography of Terror and the Berlin Wall ( photo stop). NB! These are sample itineraries. The exact timing will depend on the arrival/departure time of your ship and the route could be changed to meet your particular requirements. Price for open group tours: $65 PP ($55 PP if booked with St. Petersburg itinerary). NB! The group tour is offered for arrivals to Warnemünde (P1-4, P7, P8) only and cannot be provided for clients docking at Rostock Port. (e.g. LP 31 and LP 41). Price for open group tours: $165 PP ($135 PP if booked with St. Petersburg itinerary). NB! All times are approximate times and will be adapted to the dock times of the ship and or necessary changes in the order of the tour (sightseeing). NB! 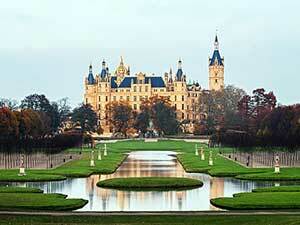 On Mondays the palace in Schwerin will be closed and the inside visit has to be cancelled. We will include a 45 min lake cruise on Lake Schwerin with views to the palace instead. The gardens will still be visited as part of the tour. NB! Please notice, the tour involves a lot of walking, comfortable shoes are strongly recommended. The tour is not suitable for clients with walking disabilities. NB! 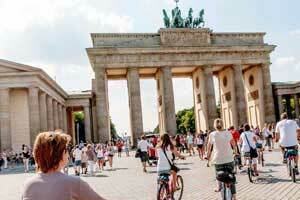 We cooperate with the best Berlin guides and are ready to provide almost all possible tours as private options. If you haven't found the desired tour in our list please send a request and we will do our best to provide it.